Aussie holidays are ahead – are you prepared for the long weekend coming up? Easter is just around the corner. Make the most of the public holidays and plan your perfect getaway this long weekend. No plans yet? Take advantage of your Aussie holidays to visit one of these 10 local destinations. Perfect for a few days away, without having to break the bank. 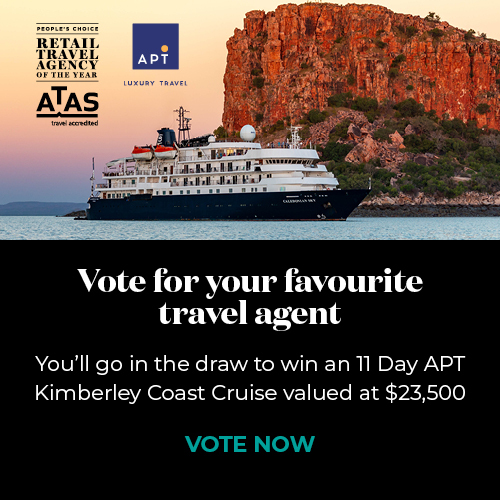 Score holiday packages from Sydney through your local ATAS accredited agent, and head to Port Macquarie by car or plane. Port Macquarie is based on the Mid North Coast of New South Wales, around 390 km (just over 4 hours’ drive, or about 1 hour's flight) north of Sydney. And if you’re based in Queensland, it’s only 570 km (about 6-7 hours’ drive, or around 1.25 hours’ flight) south of Brisbane. What a better reason than Easter to get lost in nature, and take a break away from work responsibilities and outside pressures? Port Macquarie offers superb beaches including North Shore, Town Beach, Oxley Beach, Rocky Beach, Flynns Beach, Nobbys Beach, Shelly Beach, Miners Beach (unofficial clothing-optional) and Lighthouse Beach. Popular with swimmers Shelly Beach also has access to Sea Acres National Park, complete with a Visitor Centre and a controlled rainforest boardwalk. The town is also known for its camping spots and koala population, being the home to the Billabong Koala Park. The Gold Coast is the premium base for much loved family holidays. From the theme parks to the sandy beaches, the Gold Coast is a paradise for young and old. Aside from being home to various theme parks like Warner Bros Movie World and Sea World (around 20 minutes from the heart), great beaches and nightlife - there are also attractions, such as the Irwin’s much loved Australia Zoo (around 2 hours’ drive from GC). Infinity, Dracula’s Haunted House and Dracula's Comedy Cabaret Restaurant also within 20 minutes’ drive, and are worth a visit for a laugh. Get a Gold Coast package and make sure the whole family is having fun over the short break! 3) Who doesn’t like spending their Aussie holidays in Tasmania? Close enough for a long weekend away, Tasmania is the perfect destination for those who want to get away for a different landscape and climate. With its national parks and historic sites, Tassie is the perfect destination for a long weekend. With wondrous wilderness, five of Tasmania’s historic convict sites are listed as UNESCO World Heritage sites. The most well-known include the Port Arthur Historic Site and Coal Mines Historic Site, based on the Tasman Peninsula, an hour or two out of Hobart. About 40% of Tasmania is protected national parks and reserves, including top spots like Cradle Mountain in Cradle Mountain-Lake St Clair National Park 2.5 hours’ drive from Hobart, Tasmania’s capital. Enjoy some of the world’s best wine and gourmet food in the Hunter Valley. Apart from being Australia’s oldest wine region it’s only two hours’ drive from Sydney. If wine tasting and hot air balloon flights are your type of holiday activities, then you’ll love this destination. The celebrated Hunter Valley is filled with gourmet delights and picturesque villages. And it’s only a short flight away from most Australian states. Plus, the long Easter weekend will definitely give you enough time to enjoy and relax for a cheeky weekend getaway to feed your soul. Check out the Sydney holiday packages this Easter, and fit this in. If you want a more isolated Easter break to really get away, head to Albany - 4.5 hours’ drive or 1 hour’s flight from Perth. Amazing Albany offers killer whale watching, The Gap and Natural Bridge plus blowholes in the Torndirrup National Park (20 minutes from the city centre) and other impressive natural features. The Valley of the Giants Tree Top Walk is an internationally recognised nature-based tourism attraction, located between Denmark and Walpole (an hour or two’s drive from Albany) in the Walpole-Nornalup National Park. It may be an unexpected Australia destination for those on the east coast, but the Albany coast also offers some great shipwrecks to dive like the HMAS Perth. Dozens date back to the 19th century, so step back in time. Get an Australia Package deal, so you don’t have to worry about accommodation or flights. The only thing you’ll need to worry about is making sure that you’re not dreaming with all the camping, 4WD, cycling, boating options, and trail hiking choices available in Albany. Known as one of the most iconic spots on the Sunshine Coast, Noosa is a must to see, only 2 hours’ drive from Brisbane. You cannot travel Australia without making a pit stop at Queensland’s first UNESCO Biosphere Reserve. Trendy and pedestrian friendly Hastings Street, is a beachside thoroughfare connecting the impressive beach and subtropical growth from the hilly greenery, with alfresco restaurants, designer boutiques, bustling bars and cool cafes. So, enjoy walks of the nearby Noosa National Park, and take advantage of the views to revel in a few days off work. Head to one of Australia’s best kept secrets, and bask on the beach in this coastal wonderland. If you just want some quiet time in nature, surrounded by beautiful coast and a diverse wildlife, head to Broome - around 2.5 hours’ flight from Perth. The pearl of the Kimberley Coast, this wild west spot is known for its sunset camel rides. At Gantheaume Point less than 15 minutes from the heart of town, dinosaur tracks are revealed in the beach’s red rocks during low tide. From Horizontal Waterfalls to caves and outback stations, Broome is the perfect opportunity to appreciate Australia’s unique natural beauty and heritage. There’s so much to see when you travel Australia! However, if you only have a few days off, then make them count! Head to a unique place, the Ningaloo Reef 1.5 hours’ drive out of Exmouth. Who can say they have swam with whale sharks? It’s a real underwater nirvana, and perfect for a rural family holiday. Exmouth is only a couple of hours’ flight from Perth. So, pack up, check these few tips before leaving, and enjoy your Easter break on the wild side. 9) Need to relax? Enjoy Easter in Kalbarri! Not sure if you want to go far for Easter break? It depends on your definition of far… There are plenty of Aussie holiday destinations close by. However, sometime you feel like a road trip! If so, head to Kalbarri for example for a real drive around 6 hours from Perth. You’ll feel like it’s a world away with the breath-taking Nature's Window in Kalbarri National Park around 50 minutes’ drive from central Kalbarri. Maybe, see if there’s a holiday package deal that can be customised to your needs, through your local ATAS accredited travel agent? Head far away for your dolce far niente long weekend. Recharge the batteries, and go somewhere different this Easter - you deserve it! Why not take advantage of your time off to explore spots off the beaten track? Visit Bargara a sleepy coastal town 15 minutes from central Bundaberg. Be charmed by everything it has to offer, like a tour of the Bundaberg Rum factory. From humpback whale watching, to the sandy crab beaches or turtle hatching at Mon Repos beach, there’s plenty to do on a coast that’s been compared to the Hawaii of Australia. With world class dive opportunities, as well access to the unique coral cay islands of Lady Musgrave and Lady Elliot. Almost 2 hours’ drive north, enjoy a day trip to 1770 (Seventeen Seventy), a town in the Gladstone Region, built on the site of the second landing by James Cook and the crew of HM Bark Endeavour that it was named after. Or nearby Agnes Waters has excellent surf, wind sailing and kitesurfing conditions, at the southern end of the Great Barrier Reef. For this Easter Break, there’s no need to go far or spend big on international travel, when one of these local gems are in reach. Spoil yourself with one of these Aussie holidays. You’ll feel relaxed and recharged, after unwinding a few days, in one of these 10 wonderful Australia destinations. So, take your pick, and get a local holiday package deal today. Support our great southern land down under this Easter! BALLOONING: Bucket List Experience, or a lot of hot air? Our ATAS accredited travel agents round up the best Ballooning experiences around the globe. The best Australian festivals around the country that'll make you pack your bags now. AAT Kings Tours Pty. Ltd.